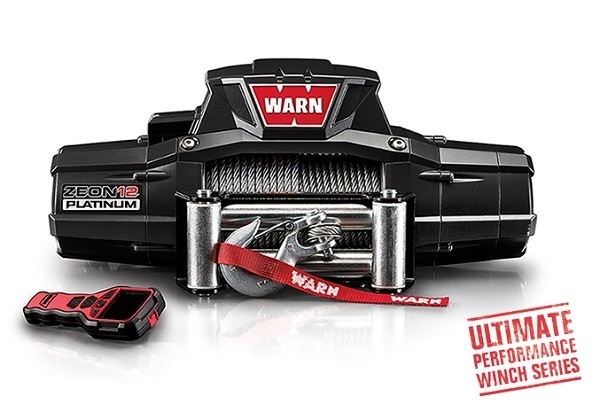 The toughest, most technologically-advanced winch on the trail today. Vehicle Accessories is a Warn Industries authorized dealer. All Warn products are available at our stores. Stop by any of our locations in Flint, Bay City, Clarkston and Lansing or call us Toll Free at 1-866-820-2119 for pricing and availability. If you don't see a product that you were looking for, please give us a call so that we may assist you. All-new high-speed motor, stronger gears, and heat-treated ring gear deliver 20% faster line speed, best-in-class efficiency, and Warn's highest durability rating. Proprietary and strongest-in-class Spydura Pro synthetic rope is found on many military vehicles. This rope features a urathane coated 12-strand braid, heat treated under tension. A 20 ft. Nomex™ heat sleeve protects the rope on the layer nearest the drum.